"We spent an awful lot of time at Cumberland Pool. We'd buy a tag, sew it to our bathing suits and that was our pass for the year. We were there daily." Cumberland bathhouse and pool under construction, 1927. In 1915 Cleveland Heights Village’s voters approved $100,000 to acquire land that would later become Cumberland and Cain parks, however, it wasn’t for another decade that part of the site would be developed as Cumberland Park. 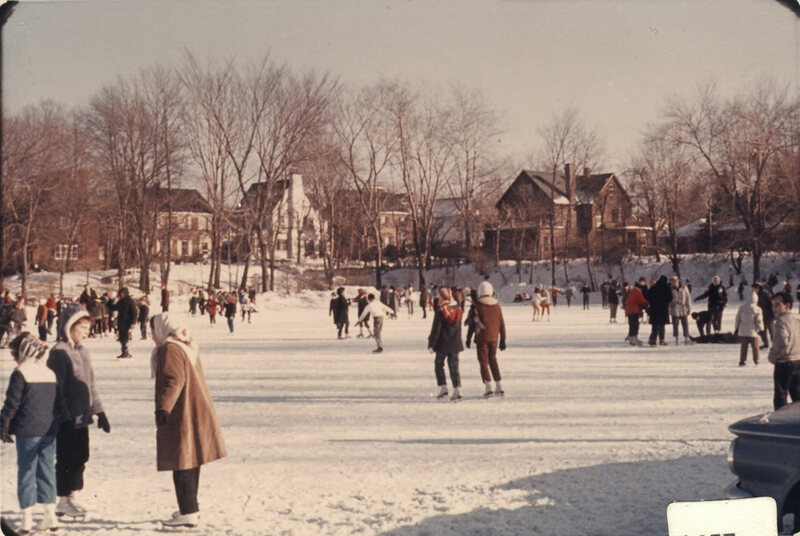 In 1923, as Cleveland Heights’ population grew and the small village matured into a city, leaders hired nationally known landscape architect and Cleveland Heights resident A.D. Taylor to design what would become the city’s first park. Two years later, excited to see Taylor’s vision become a reality, the city asked its residents to approve $75,000 in bonds to complete the vision for the Cumberland Park. 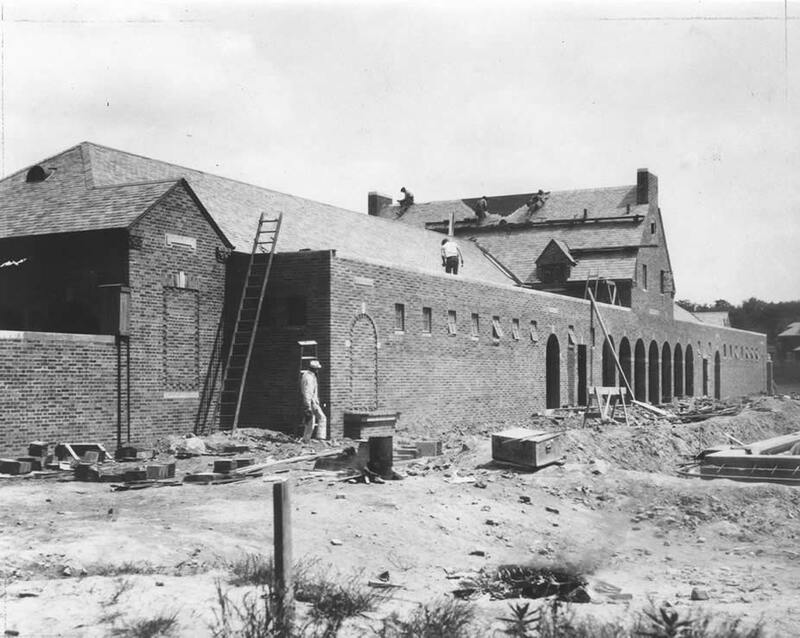 Construction for the pool started in July 1926 and by March 1927 was mostly completed. The next month a $51,000 bid was awarded for the construction of Cumberland Bathhouse, an architectural gem that is virtually unchanged today. The brick and limestone bathhouse shows the influence of Williamsburg Georgian architecture, which was popular at the time. Zigzag brickwork, arched windows and arcaded porticos are Georgian details, while the overall layout is typical of early 20th-century bathhouses. 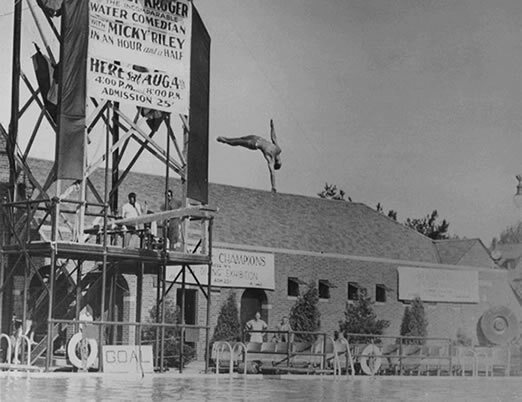 Cumberland pool diving show, 1945. Cumberland Pool was the first public pool in Cleveland Heights and opened to residents on August 1, 1927, in a celebration deemed by the Heights Press as “the biggest municipal event of 1927.” The pool equipment included “the most modern apparatus for diving and stunts” and the pool was sufficiently large to care for from 2,500 to 3,000 swimmers per day. 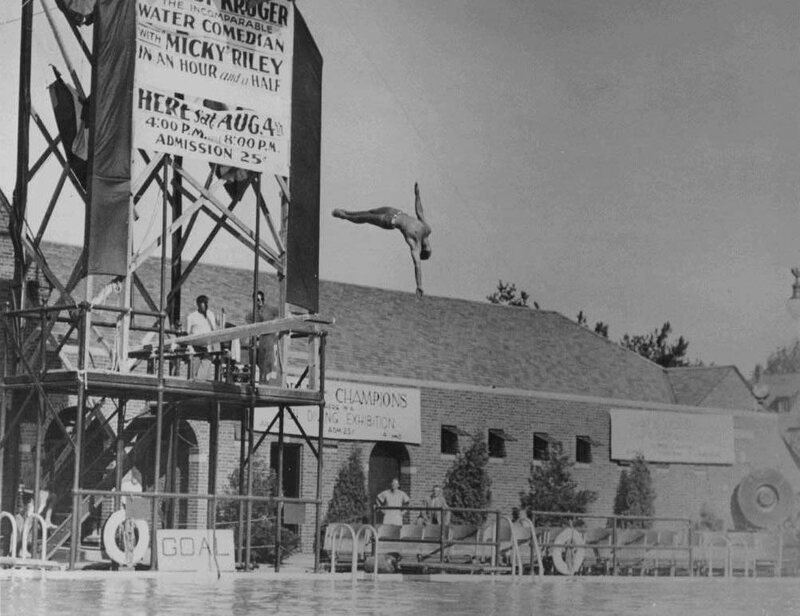 Opening events featured a water carnival including a program of diving stunts. Both a doctor and a nurse were on duty at all times and six lifeguards (five men and one woman) would work eight-hour shifts. Safety was a prime concern: swimming and diving lessons were provided free of charge, and bathers were required to wear dark suits so that they could be distinguished from the white bottom of the pool. Ice Skating at Cumberland Park, 1968. In the last decade, the city has worked to protect this historic Cleveland Heights Landmark through sensitive maintenance, repairs, installation of new light fixtures flanking the entry and last year’s replication of doors that matched the long-gone originals. Editor’s note: This article was written by Ms. Hamley O’Donnell on May 8, 2007, using information in Landmark Commission of Cleveland Heights folder.